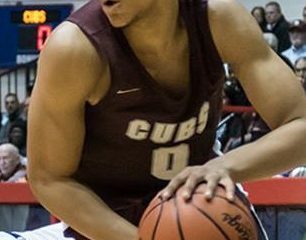 This is the third of five Bank Hoops All-State teams, for all four divisions and the overall all-state team. 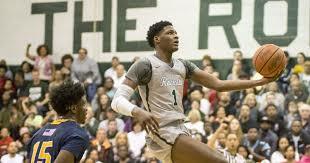 Players are chosen solely for their high school season performance, not for college prospect rank. 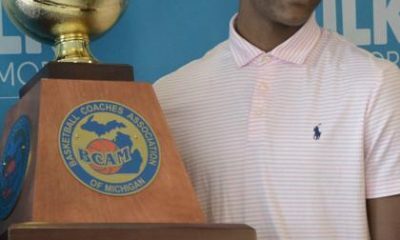 Flint Beecher point guard Jalen Terry is Bank Hoops’ Division 3 MVP. 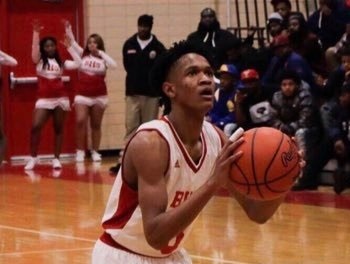 MVP Jalen Terry 5-11 Jr Flint Beecher: One of the top point guards in the country, he made the jump from third-team all-state as a sophomore, to divisional MVP as a junior. He averaged 22.5 points, 7 rebounds, 5.7 assists and 3.6 steals per game. William Dunn 6-8 Jr Quincy: Like Terry, he was third-team all-state last season. Dunn averaged 23.7 points, 10.6 rebounds and 2.8 blocked shots per game. 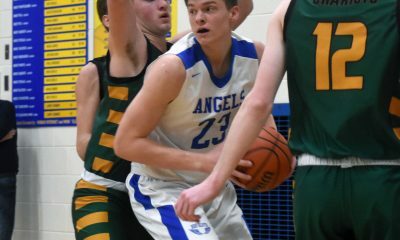 Caleb Hodgson 6-9 Sr Dansville: He’s a rare three-time first-team selection, after once again dominating one of the state’s top small school leagues, the CMAC. 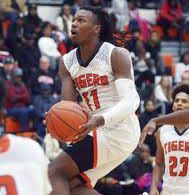 Hodgson, who signed with Central Michigan, averaged 23 points 57 percent field goals, 16.1 rebounds, 5.3 blocked shots and 3.2 assists per game. Joe Liedel 5-10 Jr Erie-Mason: He was the leading scorer in the division, averaging 28 points on 52 percent field goals and 85 percent free throws. 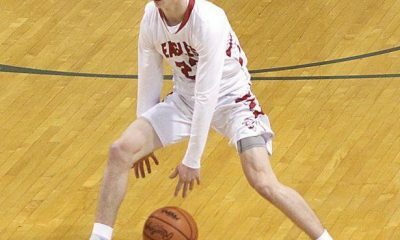 Liedel had a game-high of 51 points and led Erie-Mason to the state semifinals also averaging 5 assists and 3 steals per game. Andre Smith 6-7 Sr Pewamo-Westphalia: The other CMAC big man making the cut, following P-W’s undefeated, state championship season. 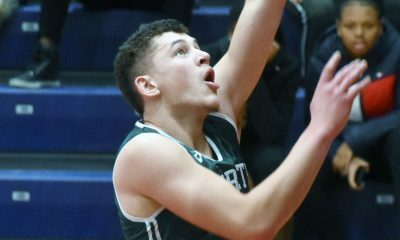 Smith hit five three-pointers in the state final and for the season averaged 14.1 points and 6.8 rebounds. 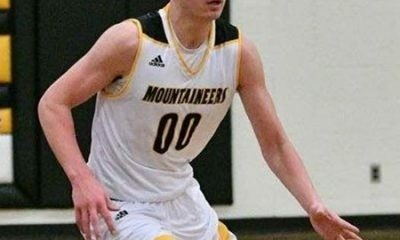 Foster Wonders 6-5 So Iron Mountain: He led Iron Mountain to an undefeated regular season then all the way to the state final. Wonders averaged 24 points on 64 percent field goals, 7 rebounds and 2.8 assists per game.